How Far Is Earth From Venus? What Is Sun Transit & Moon Transit? The moon not only regulates the ebb and flow of the tides, but it also moderates the Earth's rotation, helping to create a stable climate. The size, shape and distance of the moon from the Earth all contribute to how the moon affects its nearest neighbor. For centuries, people have debated whether the moon is perfectly round, moderately spheroid or nonspherical. Through observation both from Earth and from various missions to the moon, scientists have been able to determine the satellite's shape. 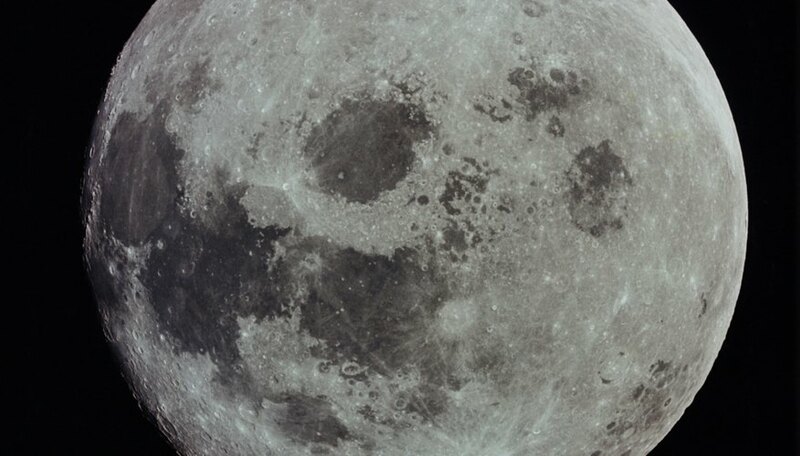 The moon is a spheroid, not completely round but egg-shaped, according to NASA's Lunar Reconnaissance Orbiter website. The moon's shape derives from its rotation, with the large end of the egg-shape pointing toward the Earth. Not only does the moon have an irregular shape, but its center of mass is irregular as well -- it's approximately 2 kilometers (1.2 miles) out from the geometric center of the moon. Scientists know that the moon is a spheroid because solar eclipses are always circular, meaning that the moon must be a shape that yields a relatively circular shadow. The boundary between the day and night sides of the moon, as seen from Earth, is an arc -- another shape that can only occur for a spheroid object. Missions to the moon, such as the Apollo, Clementine, Zond and Lunar Prospector, have provided evidence for a spheroid moon. These missions studied the topography of the moon, providing images both from orbit and from the moon's surface. The pictures from these missions showed that the moon appears to be a disk from any angle at which you examine it -- a characteristic that is only possible for an egg-shaped object. Many people mistakenly believe that the moon is a sphere because the a full moon appears to be a perfect circle. When you see the moon, however, you are only seeing the small portion of the moon that is illuminated by the sun. The appearance of the moon's face depends on the position of the moon in relationship to the sun, leading to the different phases of the moon that are visible to people on Earth. Cornell Curious About Astronomy: Is the Moon Spherical? Natasha Hochlowski holds a dual B.S. in chemistry and writing from Loyola University Maryland. She has been writing professionally since 2007, frequently contributing to "The Journal of Young Investigators," and has worked as a technical writer/editor for several major pharmaceutical companies. Hochlowski, Natasha. "Is the Moon Round?" Sciencing, https://sciencing.com/moon-round-20233.html. 25 April 2017.